The town of Kurri Kurri was established in 1902 but boreholes had been drilled in the town as early as 1891. In 1886 coal had been discovered in the Greta and Maitland areas and within eighteen months the first shafts were sunk into the Greta seam. The mines at Stanford Merthyr, Pelaw Main and Heddon Greta had already been opened by the time the town of Kurri Kurri was established and a new mine at Hebburn was set to be opened. Small villages grew up around the coal mines and miners in the Kurri area lived in "tents or make-shift huts" around the mine and travelled home on weekends. The number of men employed in the mines was increasing and new mines were opening. In 1903 members of the Pelaw Main Miners' Lodge saw the need for a hospital in Kurri Kurri and decided to raise the money for its construction and ongoing operation. Mr T. L. Johns of the Pelaw Main Miners' Lodge Medical Committee drew attention to the many accidents occurring at the pits and the difficulties of moving a patient to Maitland Hospital for treatment, especially at night. 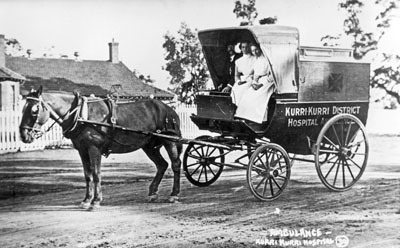 A public meeting was held on April 30th 1904 in Lewis' Hall with the intention of discussing raising funds to start the first district hospital in Kurri Kurri. It was attended by mining delegates from Abermain, Pelaw Main, Stanford Merthyr and Heddon Greta Collieries, as well as local residents, and businessmen. A building was available for lease for use as a Cottage Hospital, which would operate as a temporary hospital until a new hospital could be built. A Government subsidy was available, leaving the miners to raise the amount of £125. Prior to the official opening a conference of colliery employees determined that a building fund levy of threepence per fortnight should be imposed upon all miners for maintenance of the institution. 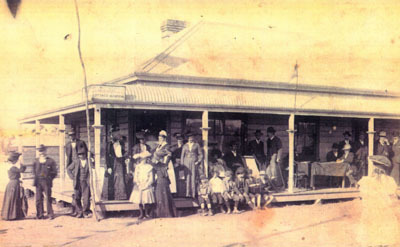 The temporary hospital operated out of a small cottage located at the corner of Alexandra and Rawson Streets, Kurri Kurri. The building could accommodate five patients, the matron and an assistant. It was owned by Mr. Waugh of Bulli and rented for 15/- ($1.50) per week and had formerly been the residence of Dr. Thrower. A management committee and a Ladies Hospital Committee were formed. While the main role of the Ladies Committee was to serve tea and sandwiches at hospital meetings and functions, they were also the main organisers of all fundraising activities including balls, social events and concerts. The Ladies Hospital Committee raised £8.2s to allow the hospital to have funds in the bank before it was even opened. 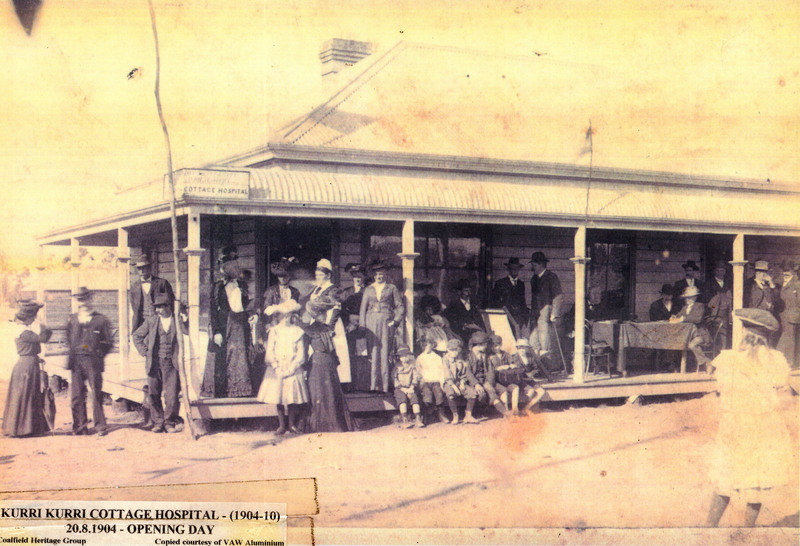 The official opening of the hospital was 20th Aug. 1904. The first Matron was Mrs Elizabeth Griffiths but she resigned shortly afterwards and Miss Agnes Macready was appointed. Dr. Latham, Dr. Fisher and Dr. Thrower were the first Honorary Medical Officers. On the 30th December 1904 the hospital was registered under the Hospital Act and was then eligible to receive a subsidy based on the subscriptions received during the first year. The subsidy amounted to £140. Hebburn £15.17s from 250 employees. The Cottage Hospital was always considered as a temporary hospital. A Government grant for a District Hospital was approved in the amount of £2000 provided that £1500 was raised by the Committee. The work was to be supervised by the Works Department and the building erected on building plans prepared by the Government Architect. 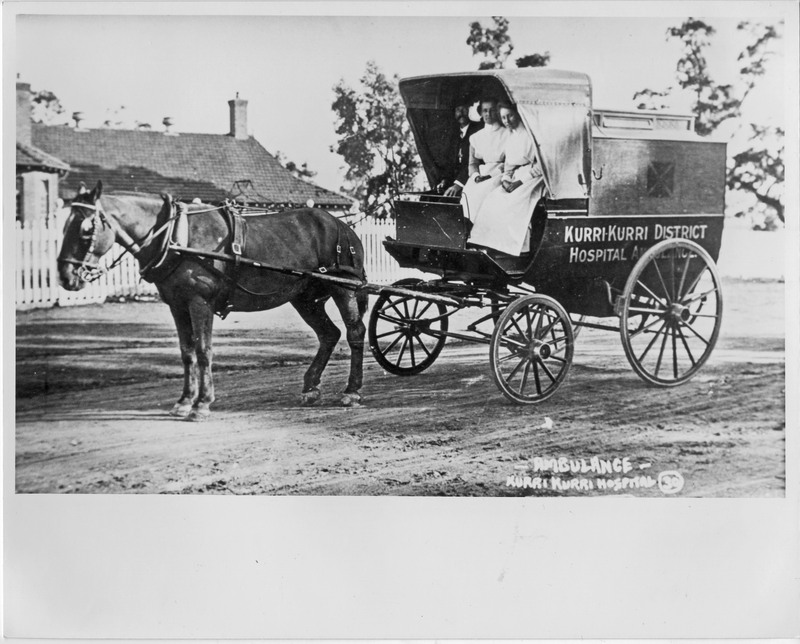 On March 27th 1909 building began on the new hospital site for the District Hospital on four acres on the road between Kurri Kurri and Abermain. The hospital was finally opened in November 1910 by Mr Charlton, member for the district. The Hospital operated a horse-drawn ambulance for several years. In 1930 a new Vauxhall ambulance was acquired by the Hospital which ran its own ambulance service until the early 1950s when it was handed over to the Cessnock-Kurri Kurri District Ambulance Committee who established a station at Weston. 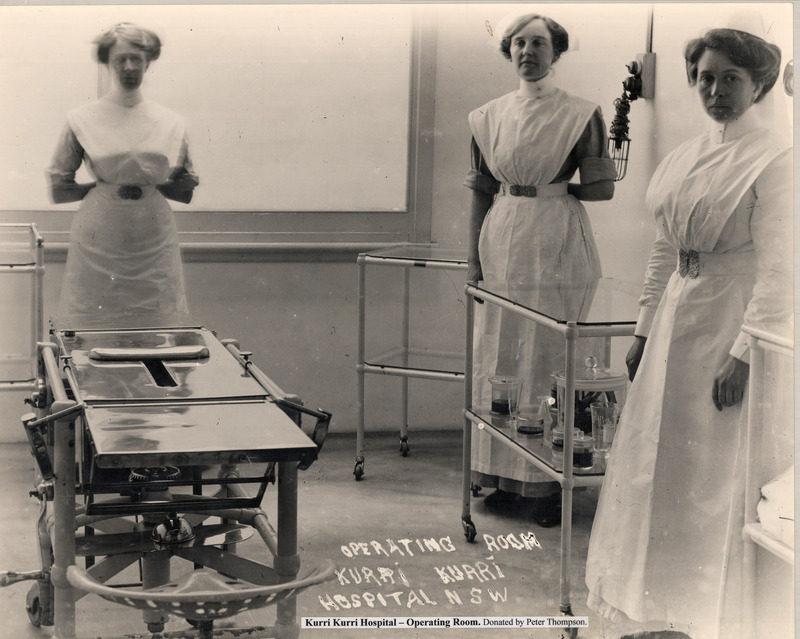 For many years the hospital also operated as a Training School for Nurses. Andrews, Brian J. Kurri Kurri Cottage Hospital, In the Beginning 1904 -05. Coalfield Heritage Group, 1998. Print. Arkes, W. S., Jim Comerford & Dr. Max Lake. Mines Wines & People, History of Greater Cessnock. Cessnock: Council of Greater Cessnock, 1979. Print. Cessnock City Council. A peek at the Past of Kurri Kurri and Surrounding Areas. Kurri Kurri: Community Project by Kurri Kurri Tidy Towns and Cessnock City Council, 2011. Print. Johnson, Perce, and Sid Grant. Kurri Kurri Jubilee 1904 -1954 Souvenir Booklet. Kurri Kurri, 1954. Print. Kurri Kurri Tidy Towns Community Project. Visions of Yesteryear Kurri Kurri District. Kurri Kurri: A Kurri Kurri Tidy Towns Community Project, 1998. Print. Smith, Graham, Ed.1979. Kurri Kurri 1904-1979. Kurri Kurri: Kurri Kurri Civic Committee, 1979. Print.